Get your team together for the top league in LA! 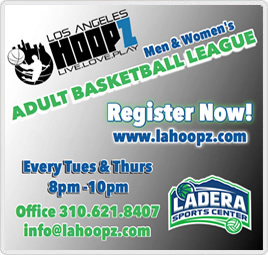 This recreational basketball league is great way to keep up your skills in a competitive and fun environment. Early bird pricing ends soon. Get your team registered today!